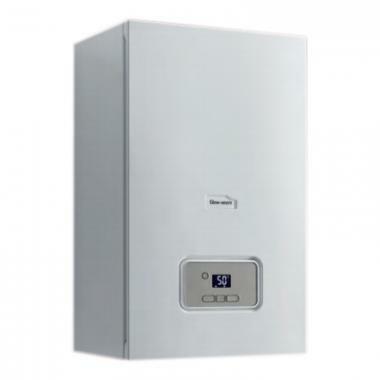 Glow-worm’s Energy Regular gas boiler is a highly efficient, condensing wall mounted unit. As a regular gas boiler it requires a hot water cylinder which is fed by a cold water tank which is usually located in the loft. These systems are best for larger homes with a high heating demand. This boiler comes with a variety of features and benefits to make it a highly efficient unit. It has a high efficiency rating of 89.3% making it an ErP B rated boiler. The compact size and output of 15 kW means it is perfect for those smaller, one bathroom properties which do not have a high demand for heating or hot water. It is also available in outputs of 12kW 15kW 18kW 25kW and 30kW so you should be able to find a model to suit your home. It is an easy to maintain unit which includes a rear flue option meaning it is able to be sited just about anywhere in your home. It features a 7 year warranty to give you peace of mind that you are purchasing a highly reliable unit.